The statement bangle that's so fabulous you don't need anything else! 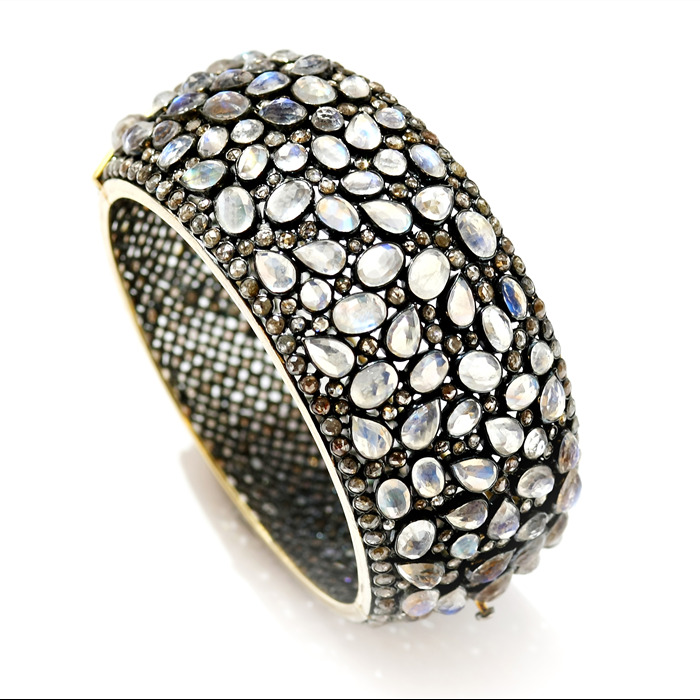 This bangle is studded with drop shape moonstones in the front part of the bangle and brown diamonds elegantly wrap the back part and shimmers with your every move. So unique you'll love the detail and stylish finish.